What are the Declaration of Independence, the Bill of Rights, and the US Constitution? They're important documents that helped to shape our country. But what's the story behind how these documents were created? And what exactly do they say? Listen to this audiobook to find out. 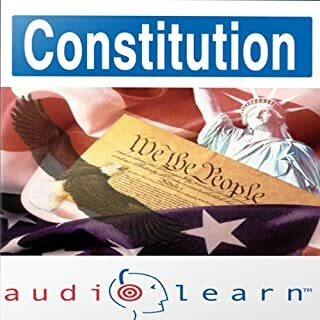 From the Federalist Papers to the Bill of Rights, AudioLearn is your complete audio study guide to the Constitution. 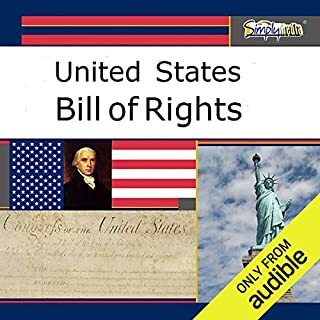 In less than 60 minutes of listening to this audiobook, you will have heard the original United States Bill of Rights, the 17 other amendments to the United States Constitution, and much more. Learn about the history of the U.S. Civil War with the iMinds JNR audio-learning series for younger minds. A civil war is a war where the two opposing sides come from the same country. It is a war that occurs within a single nation. The U.S. Civil War was waged from 1861 to 1865 and was fought between the Northern states (making up the Union) and eleven Southern states (the Confederacy). A major cause of the U.S. Civil War was the North's condemnation of slavery. 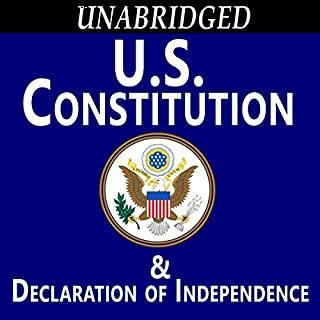 In less than 60 minutes of listening to this audiobook, you will have heard the original United States Constitution. 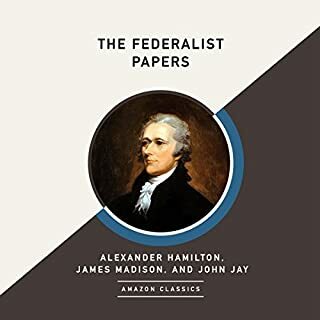 To improve your understanding of the Constitution, we have included original readings and commentary related to this subject, such as the drafting and ratification of the Constitution, the historical influences on the Constitution, and the Anti-Federalists. Nineteenth-century America was the closest thing to pure free-market capitalism that has ever existed. There was no welfare state, no central bank, no deficit spending to speak of, no fiat money, and no income tax for most of the century, and no antitrust laws or federal regulatory agencies until the end of the century. During the 20th century, by contrast, American liberty declined as the size, scope, and power of government exploded. Federal spending, taxes, deficits, and debt have spiraled out of control. As the oldest founding charter still used by any independent country, the United States' Constitution has influenced governments around the world. Here, actress Leah Vandenberg provides young listeners an inviting and educational introduction to this important document. The sprightly Aussie explores the Constitution's history, including the roles played by America's Founding Fathers. Elsewhere Vandenberg provides a clear description of the three branches of government laid out in the Constitution, and explains the difference between the House of Representatives and the Senate. The proceedings conclude with an informative look at the process of amending the Constitution, and the importance of the Bill of Rights in protecting American's freedoms. Animated and amicable throughout, Vandenberg creates a learning environment marked by clarity and enthusiasm. 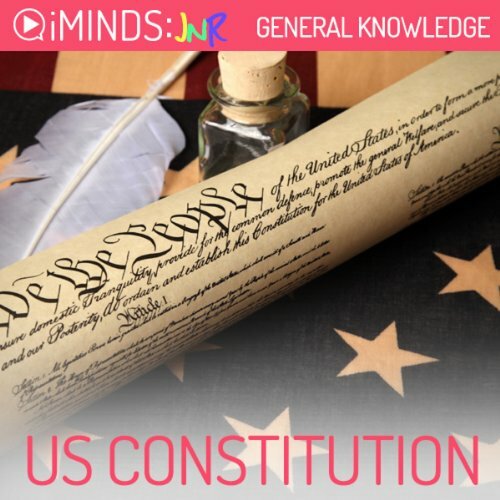 Learn about the history of the US Constitution with iMindsJNR audio learning series for younger minds. The United States Constitution is the highest law in the United States of America. All other laws made in the country come from the Constitution. The Constitution outlines and shows how the government of the United States should work. It is the oldest and yet shortest Constitution still in use in any major independent country. The United States Constitution is over 200 years old. In 1787, there were only thirteen states in America. It was in the middle of May 1787 when delegates from twelve of these states met in Philadelphia to begin drafting the document that would soon become the United States Constitution. The only state not to attend was Rhode Island, as they believed the talks would encourage them to forfeit the rights of their state. Nothing against the the narrator but I would have picked a person with a American sounding accent, no offense. For this 5 min. reading it's not worth buying. I expected to hear it read and explained in light of recent rulings. Disappointed. 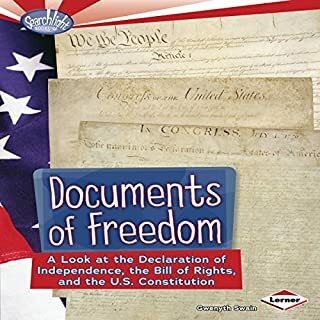 This book was the perfect length and clarity for my teenage kids to gain a better understanding of the U.S. Constitution. I am now looking for similar books about the Declaration of Independence and other historical documents. 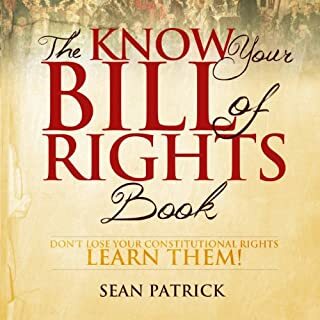 This book provided me with what I needed, a summary of what is contained in our Constitution. If I need more detailed information I know where to go but for my purpose right now it was just enough - Great Summary.